Imagination International Inc., importers and distributors of the new non-toxic* adhesive known as BETTER Ultimate Adhesive, are pleased to announce two new sales partnerships with Jerry's Home Improvement and Wilco Farm Stores in the region of Lane County, Oregon. EUGENE, Ore. - Nov. 19, 2018 - PRLog -- BETTER is a non-toxic*, low voc, modified silicone polymer, multi-purpose adhesive. It's great for the DIY'er as it works with almost any surface including: wood, metal, glass, styrofoam, plastic, pvc, fabric, and more. BETTER is waterproof, weatherproof, and shock resistant. BETTER is truly Better for everyone and almost all projects. 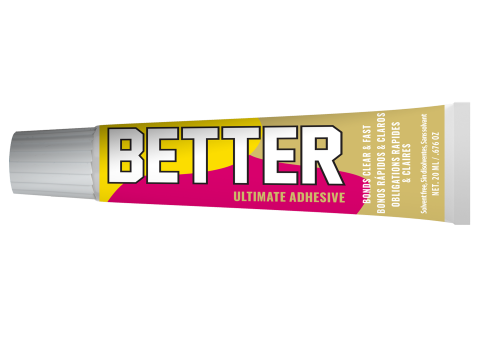 Imagination International Inc., the distributors of the product are pleased to announce two new sales partnerships for BETTER Ultimate Adhesive: Jerry's Home Improvement and Wilco Farm Stores in the region of Lane County, Oregon. Steven Light, the Business Development Manager for these accounts, notes, "We are proud to see local stores adopting BETTER, it shows their dedication in supplying the best products on the market to their customers." 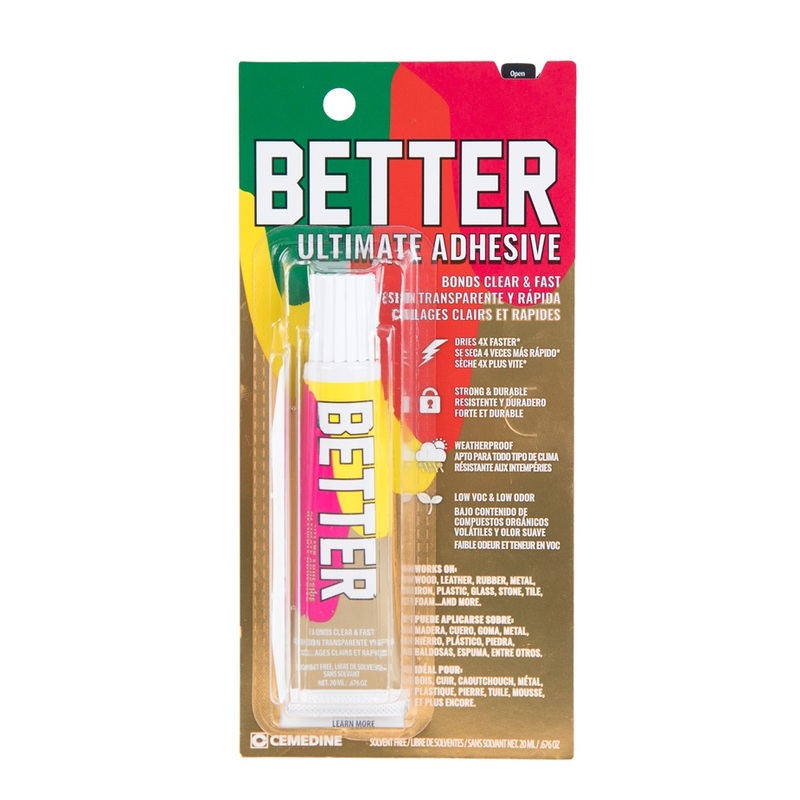 Sarah Evans, Director of Sales, remarks, "As we move into 2019, we anticipate continued growth in stores that recognize that a healthier alternative to all of the smelly, toxic adhesives is greatly needed. Our company will continue to capture market share as consumer awareness of our adhesive grows." *Non-toxic to humans when used as directed. About Imagination International Inc. - Imagination International Inc., the US Distributor of Copic Markers, has over 20 years history as a leading importer, distributor, and marketing company of quality unique products from around the world. Click here to learn more about III and their products. About Jerry's Home Improvement - Jerry's, Eugene's original discount building material store, was founded in November of 1961 by Jerry and Merle Orem. Fifty-six years later, Jerry's has grown from 2 employees to hundreds. Click here to learn about Jerry's Home Improvement. About Wilco Farm Store - Wilco is still a farmer-owned cooperative headquartered in the rural town of Mt. Angel, OR. Wilco focuses on a commitment to core values and community that come from our roots while striving to be a progressive company known for growth and innovation supplying today's agricultural needs Whether your agriculture interests are crops and ranching to support your family full-time, or you have a hobby and passion for the lifestyle, Wilco's focus is clear. Serve their customers with the products, services, and expertise they need. Click here to learn more about Wilco.